If you are familiar with blogging and interested in Web application I'm you already heard the term SEO. SEO stands for Search Engine Optimization. The main purpose of SEO to get high and genune traffics to your website. In today's date almost every organizations and maximum people's owns their website and they also want to earn money from websites with the help of AdSense and other Ad service providers. 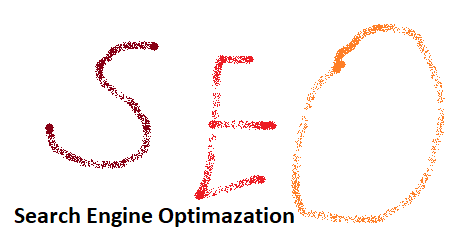 SEO helps you to get generic, Organic, free and natural result on search engine such as Google search engine, Yahoo, Bing. All major search engine want to provide most relevant posts to their users that's why we must use SEO on our website, This will help you to rank your websites in ranking. Many researchers found top ranked websites gets maximum visitors from search engine. You can also will be able to earn money from your website because if you have natural visitors on your site and you have running Ads on your website definitely you will be able to make more money than you expectation. There are many ways to rank up your websites, If you follow my following tips I'm sure you will be top in rank if you don't give up and continue to your work. 1) Target Market Analysis:- If you want to get success in blogging or ranking you website in higher level you must first target which domain filed is in trending and getting most visitors. First find all these knowledge and start your business because without knowing your business risk success chances you cannot set success that easily. 4) Regular Testing:- If your site not ranking just don't loose your concentration to your work you must keep trying and needs some time to get rank. you must regular analyze search engine ranking, web-traffic strategy and build new technique for improvement. Search results are changing daily and rapidly you must keep testing your keywords, meta tags regularly.